Most people take a lot of pride in their homes. If your home looks good inside and out it creates a good impression for everyone who pays a visit. It also makes you feel better because you know you’re keeping your property looking its best. You may have heard the term ‘first impressions last’. If you have you’ll probably understand that it applies to far more than just physical impressions when we meet someone new. Cleaner Windows Helps Make Your Home Look Amazing! Think about it for a moment. What’s the first thing people see when they look at the outside of your house? They’ll certainly look at the overall condition of your home. But they’ll also look at the windows. It’s often said the windows are the soul of the house, so make sure yours are always bright and welcoming! Cleaner Windows can ensure your home always looks welcoming because we have the latest environmentally friendly technology to keep your windows clean and bright. No smears, no streaks and no dirt left behind leads to great looking windows for your home. What’s more, we’ll clean the inside of your windows too! If you have ever cleaned your own windows you will know how rewarding it is to see the finished result. They look superb – clean, sparkling, shiny and attractive. 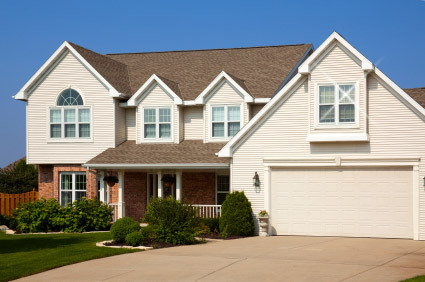 Keep your Burlington home looking it’s best with cleaner windows. But why go to all the trouble of clambering up ladders to try and reach your windows on your own? Cleaner Windows caters for all householders in the Burlington and Oakville area, ensuring their windows stay looking their best all year round. We use the EZ Pure and the Gardiner CLX water fed pole system to ensure we can safely reach up to three stories of your home. Why not try it today and see how much better your windows look? If you’re not 100% satisfied we’ll come back and clean them again – that’s how confident we are of our service. Burlington Cleaner Windows a Difference You Can See! The Cleaner Windows team not only cleans your windows, we’ll also tackle your doors and screens as well. This will keep them looking clean and pristine for sure, but they’ll also be less likely to suffer ongoing damage through being dirty. If you live close to a main road you’ll know how quickly your doors and windows can become dirty. All that dirt and grit can harm and scratch your screens and doors over time. But when you decide to call in Cleaner Windows to sort things out, you’ll soon see just how clean and shiny your windows can be. Expect the best from us and we’ll clean your screens and doors as well as your windows. You’ll get the full service and you won’t have to worry about harming the environment either. We only use pure water to clean your windows and nothing else. You can still enjoy full privacy in your home – even while we’re cleaning your windows! If you’re holding back from hiring a window cleaner because you hate the intrusion you can sometimes get when they clean your upstairs windows, don’t worry. Our efficient pole fed system means we don’t need to lean ladders up against the side of your home. Instead we can stay on the ground level and clean up to three stories high. There’s no better way to ensure your home looks as good as it possibly can all year round. Try Cleaner Windows in Burlington, Oakville, Hamilton, Milton and Waterdown today and see the difference we’ll make! Best practices, satisfaction guaranteed and modern equipment all combine to provide an outstanding residential window cleaning service from Cleaner Windows. We always live up to our name.